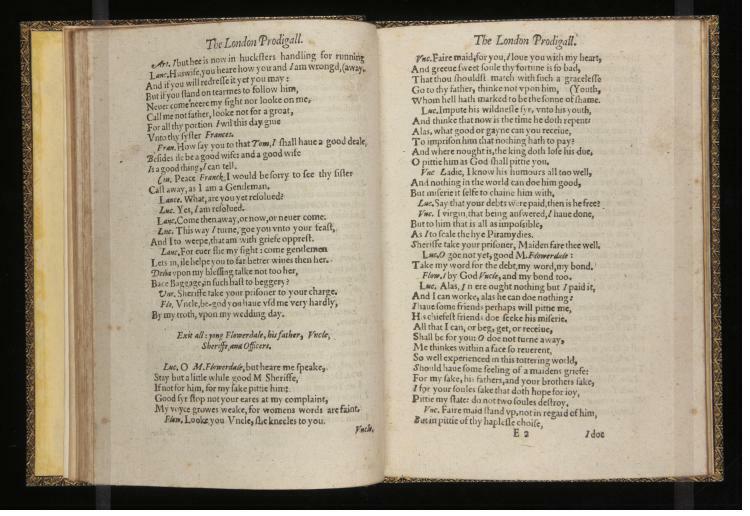 Shakespeare did not write The London Prodigal, but to Nathaniel Butter, the play’s publisher, this was not apparent—or it simply did not matter. 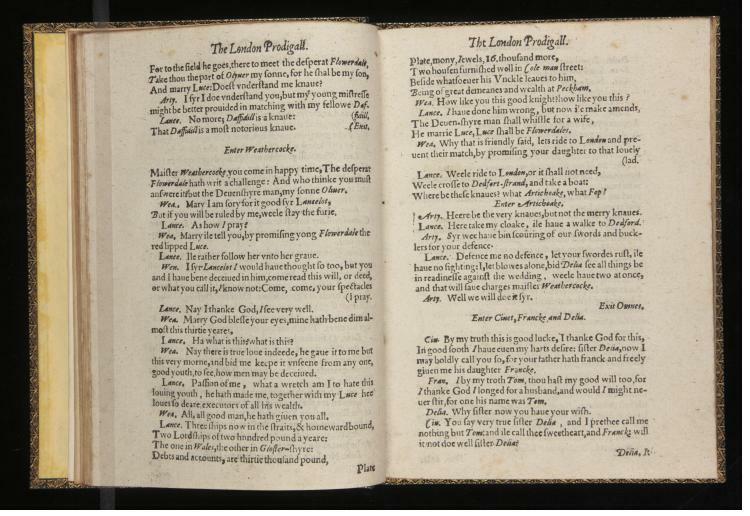 The city comedy, which enjoyed only one edition, has definitively been proven to be by a writer other than Shakespeare, but the early attribution of Butler and his printer sponsored the play’s inclusion in the Third Folio of Shakespeare’s works, along with plays like Thomas Lord Cromwell and Pericles. What would it matter if Shakespeare had written this play? 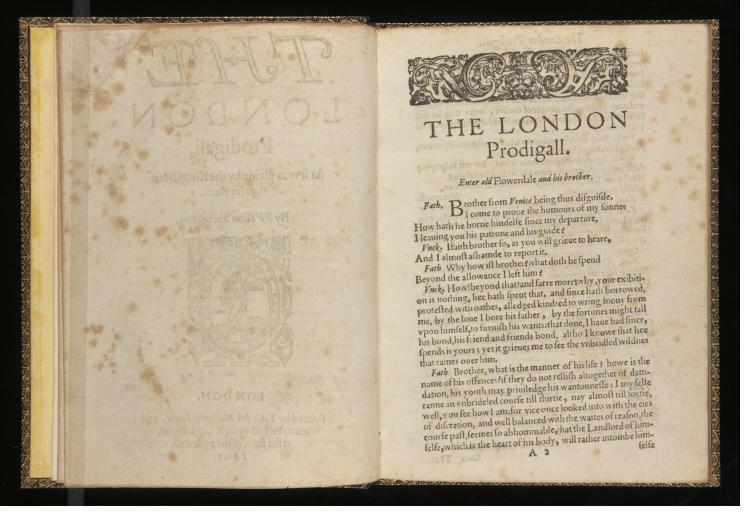 How would our conception of him and his works—and our conception of The London Prodigal—differ from what it is now? In all likelihood, we would not stop to think of him as one of the peaks of English literary achievement, but surely we would think of his creative activity in a different light. His willingness, if nothing else, to dabble in a new genre like city comedy would have something to bear upon the way we read other comedies that we know, for sure, are Shakespeare’s—All’s Well That Ends Well, for instance, or The Merchant of Venice or Measure for Measure. These are hypothetical questions, raised with no ambition of altering the play’s attribution, but they are valuable to the extent that they prompt us to consider who it is we think about when we think about Shakespeare, and how contingent that thinking is on what we say is his and on what we say is not. Butter later became known for publishing news pamphlets in the early years of the Thirty Years’ War (Jonson mocks him, punning on his name, in The Staple of News in 1626). 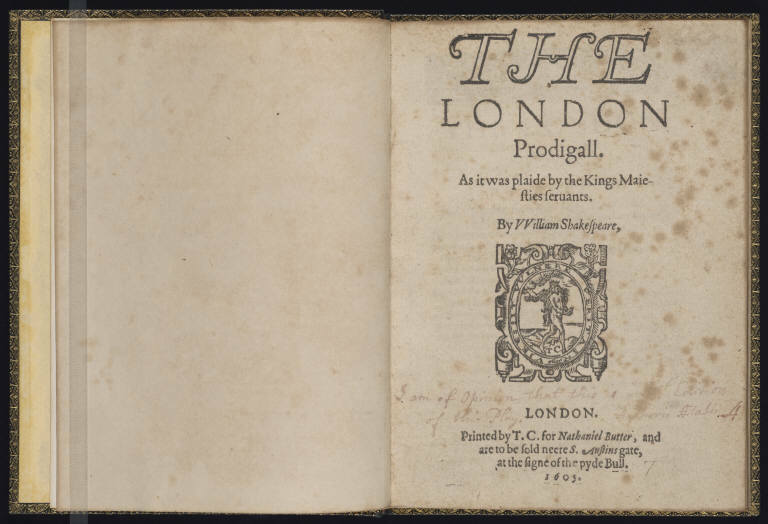 Texts which usually draw on anonymous sources, and are open to frequent accusations of fraud and irresponsibility – rather interesting in light of the fact that he’s publishing a wrongly-attributed play in 1605. Agh, sorry for posting a long comment about Stuff I Know a Bit About. I usually hate people who do that. But I never get to bust this knowledge out in a useful fashion on the internet, and I thought it might add an interesting extra dimension to your excellent post! Thanks for the correction and the supplemental information, Kristy! It’s always worth hearing a bit more about these publishers, especially where various documents fit into their broader careers. 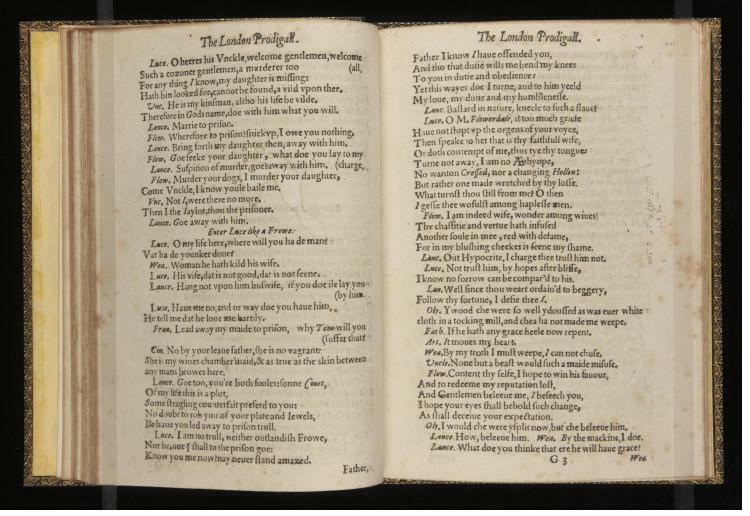 And it’s always interesting to see when classically “literary” texts like Chapman’s translations of Homer find themselves being printed by the same printers who put out less obviously (for the early modern period) “literary” works such as contemporary versions of Shakespeare’s plays.